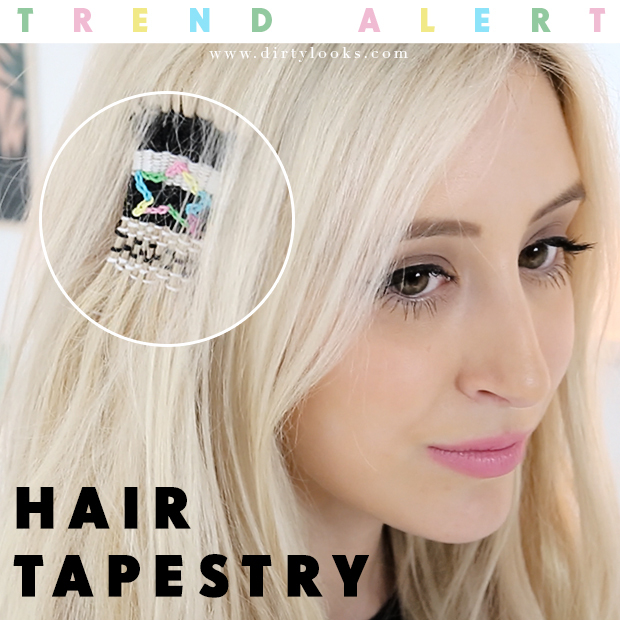 It's official: hair tapestries are THE number one hair trend to follow this summer! 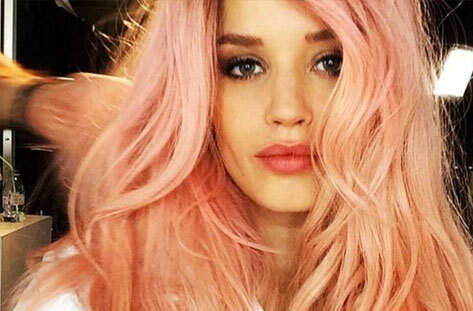 Want in on how to make your very own custom, colourful hair creation? Then read on for our hair tapestry tutorial and get weaving! The first step in our hair tapestry tutorial is to gather the items listed above and set up your weaving workstation! Next, divide your hair extension weft/your friend's hair into several strands to create a 'warp'. 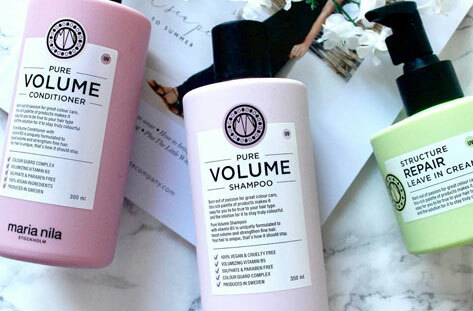 If you're creating your hair tapestry on a hair extension weft, we recommend misting the hair with hairspray to hold the strands in place - and if you're using your friend's hair, a good spritz of salt spray will also help to add a hint of grip and texture. Whether you're using a hair extension or your friend's locks, secure your tapestry loom around the hair, tightening as necessary. Now it's time to start weaving, so take some embroidery thread and tie it onto the first strand of hair (a regular double knot will do). Then, thread the other end of the embroidery thread onto your wool needle. To create your hair tapestry weft, take the thread underneath the second strand of hair, over the top of the third strand, and continue in this 'over and under' fashion. When you reach the other side, just go back the way you came, and repeat until you've reached your desired hair tapestry length! You can play around with your hair tapestry however you like - so you can make it neat and tight, or deconstructed and spaced out - it's totally up to you! If you want to stop weaving, make your way to one of the sides of the hair tapestry, and then flip your loom upside down. 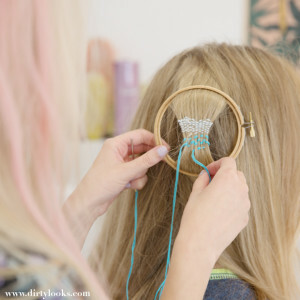 Push your needle through the back of the hair tapestry to hold the end of the thread in place - and then you can just snip off the excess (but remember to leave a small amount of thread trailing so that your hair tapestry doesn't come undone). If you'd like to change colour, simply take a new piece of thread and thread it through your needle. Tie the new thread on to the back of the hair tapestry where you left off, and then continue to weave in exactly the same way as before! Finished creating the base of your hair tapestry? Then why not add a cute design on top for an extra helping of boho chic? Star, heart and flower-shaped motifs tend to work really well, so thread some more embroidery thread onto your needle and get sewing! We love our hair tapestries so much, we don't plan on ever undoing them! 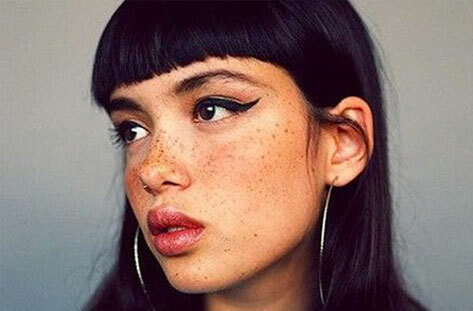 What do you think of this eye-catching, hippie hair trend? Super cute, right? Don't forget to subscribe to the Dirty Looks YouTube channel for more of the latest hair tutorials! This is so cool! I would love to do this as a fundraising idea for my club at school so I was wondering, what's the best way to take it out?